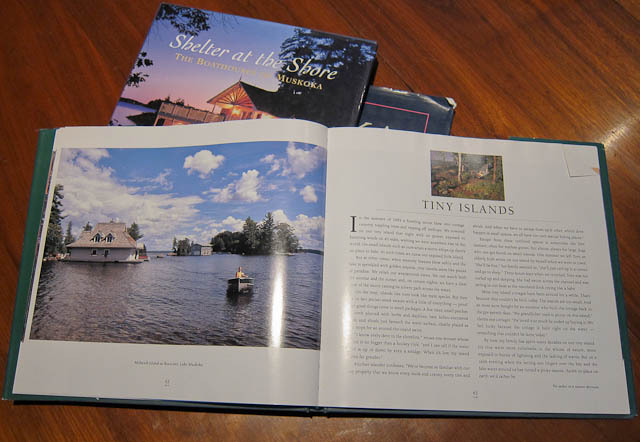 Go for the painted version – sell your cottage fast, and it may help with those typos too. 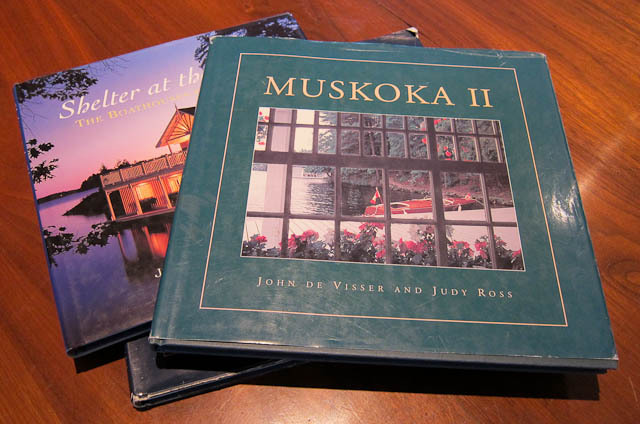 Perhaps because Muskoka experienced more cottage sales in March, April and May 2012 than 2011, more cottages were listed, building something of a buyer’s market here. 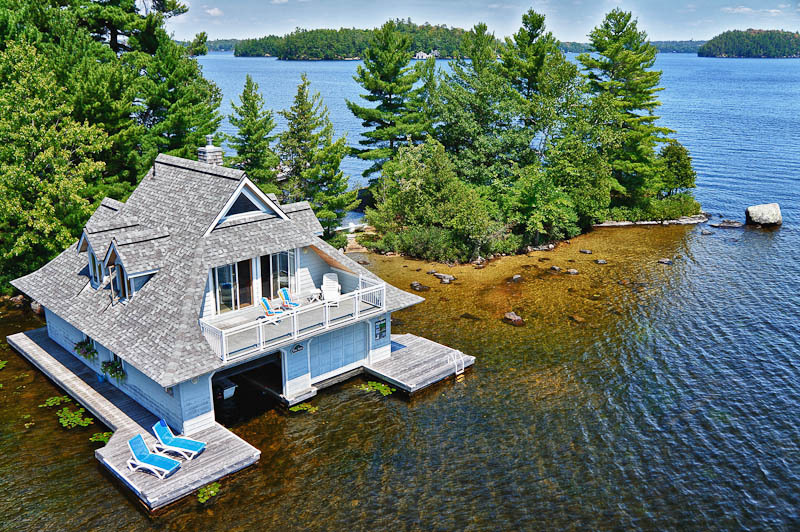 Although the best way to sell a cottage quickly is to properly price it, there are additional things that can help: improve its condition, de-clutter, keep up with the maintenance, add staging and of course, market it well. 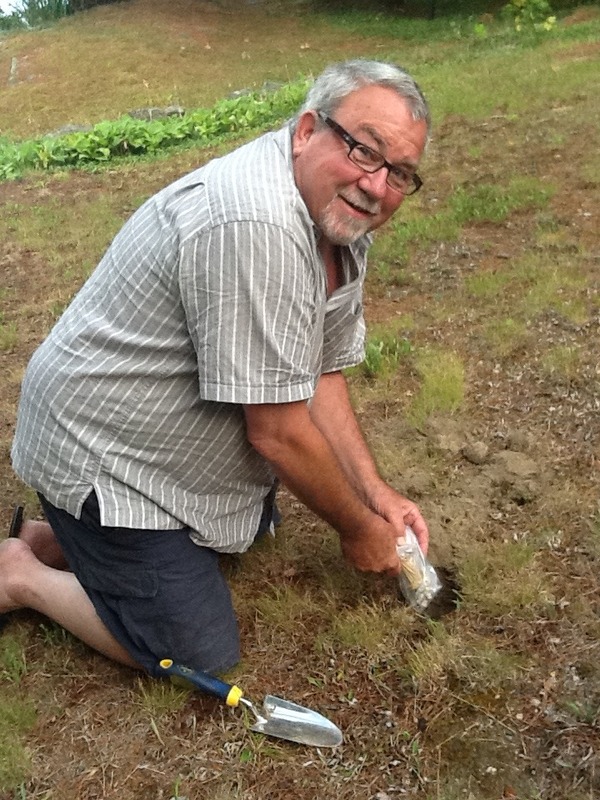 There’s one more, ahem … “proven” … tactic that I didn’t know until we were sent a photo from a client of ours. 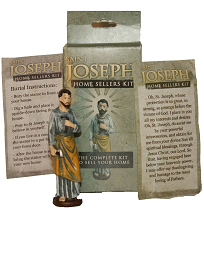 You can call on some divine intervention for help, but apparently “you have to believe.” As a seller you need to bury a statue of St. Joseph upside-down in the front lawn. Some detail on this at snopes.com. Wow! In looking into this it’s unbelievable, at least to me, there’s even a st-josephstatue.com where you can buy a St Joseph Home Selling Kit, AND they’re all on sale at the moment – at either a “discount price” or a “super discount price” – how lucky is that?! A quote from the $9.47 unpainted statue description: “This product is a litle(sic) cheaper than the painted version, but always remember that the help from St Joseph has only to do with your faith in the saint, not what type of items you choose.” Ok, so good for them; there’s little in the way of hard pressure for the up-sell. St. Joseph may not be the patron saint of spelling – or web typos – but hey, if you spend $3.00 more for the “nice painted statue” at a “super discount price,” it can’t hurt – right? NOW SOLD. 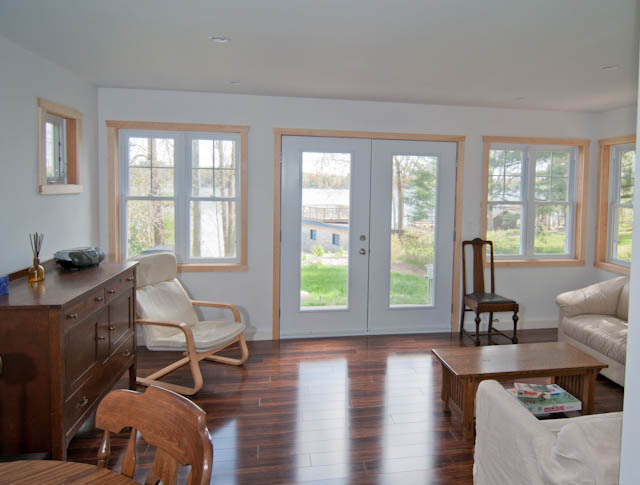 Newly-built cottage on Sparrow Lake plus Boathouse listed at only $379,000! This is an excellent way to start, or continue cottaging in Muskoka. 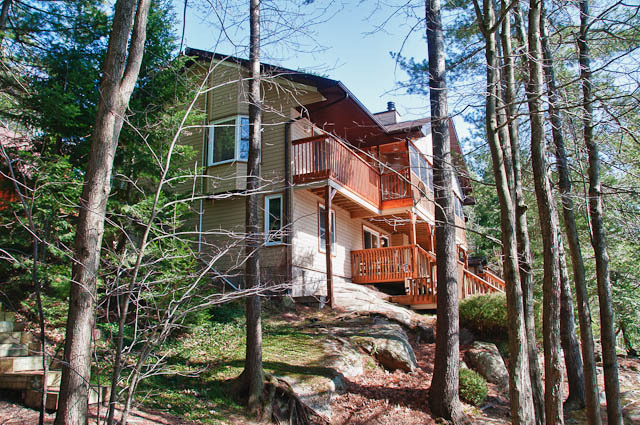 There is simply no other property in all of Muskoka that comes close in terms of value for money. 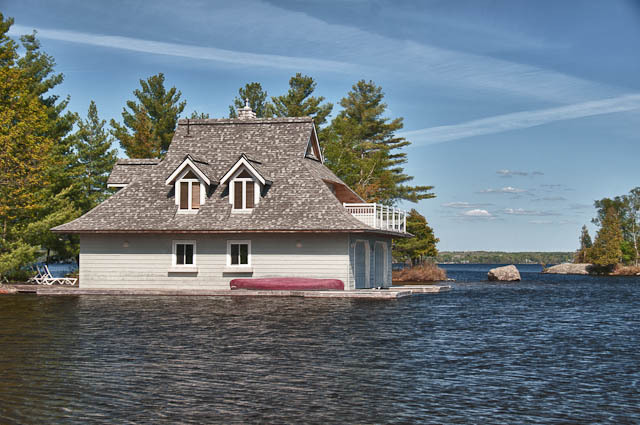 If you search MLS for a cottage and single-slip boathouse in Muskoka, you’ll discover prices range from $300,000 to well over $3,000,000. Of the properties available in the $300k range, this is the only one that is: not water access only, not on a river and not a tear down. 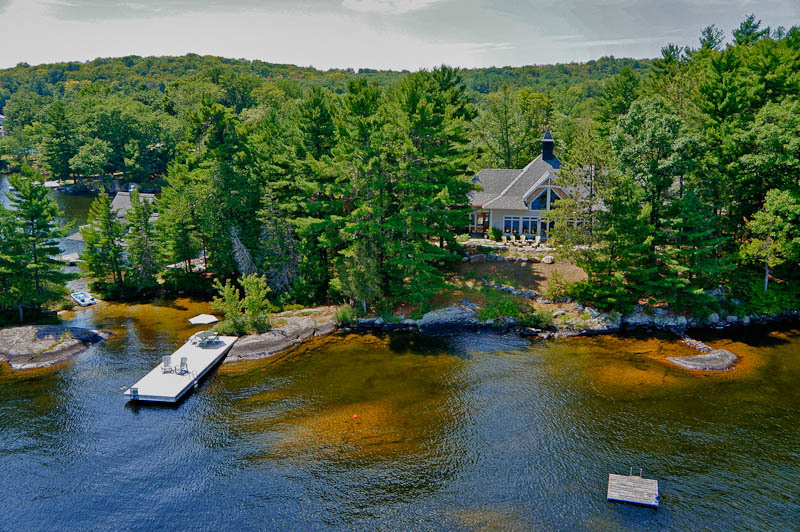 This property is on Sparrow Lake, the closest of Muskoka’s lakes to Toronto, has south exposure, a single-slip wet boathouse with a sundeck on top AND a newly built cottage. 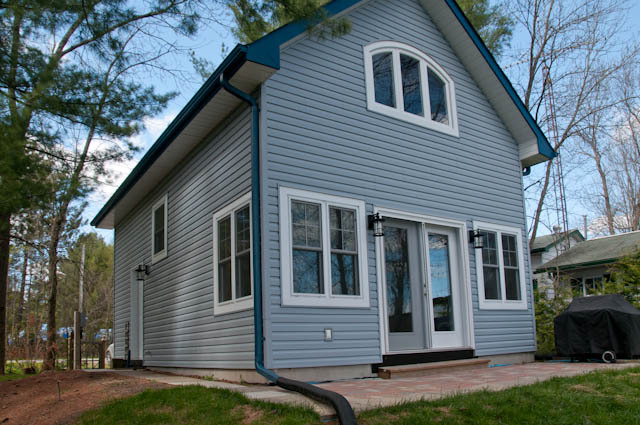 Brand new cottage, built by French’s. 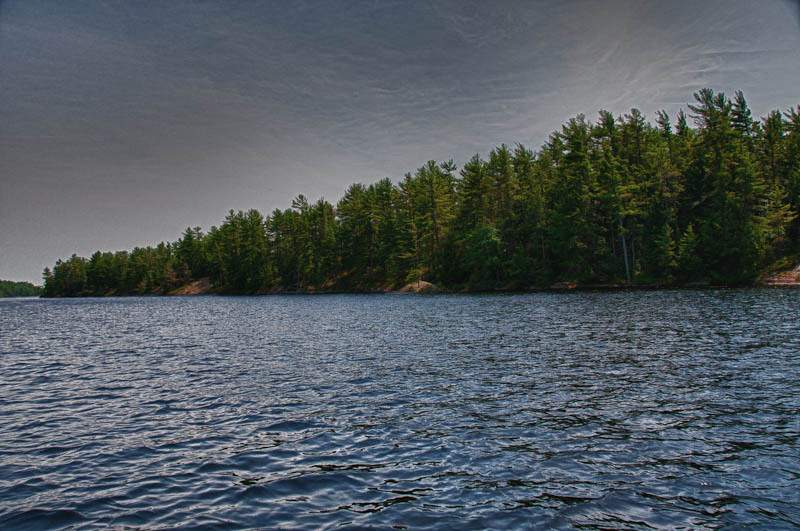 Sparrow Lake connects via the Trent-Severn Waterway from Lake Ontario to Georgian Bay. The lake’s water, due to this waterway, is constantly flushed – lake data here. Boating, swimming, fishing, water skiing and just enjoying the water are all fabulous. The views on Sparrow are wonderful. 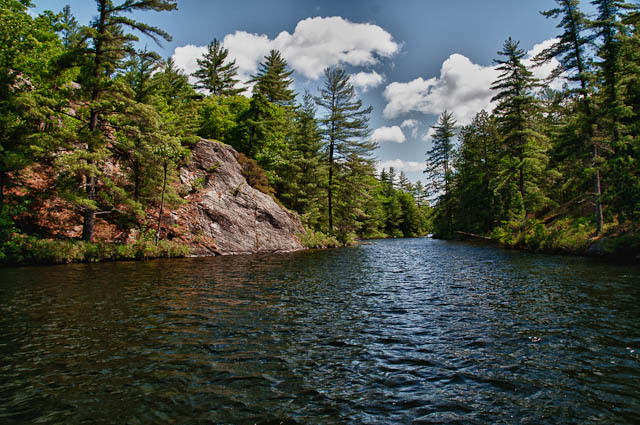 Once you become a Sparrow Lake cottager, one of the best activities for the many visitors you’ll have is to take them on an afternoon boat ride west, past some of the most beautiful rock and pine shores to Swift Rapids. The appeal after the gorgeous boat ride is the lock itself; the largest in the entire Trent-Severn system – looking down as boats enter the lock is a real crowd pleaser! Joining the Sparrow Lake Association is a must. In addition to helping with the great work of the association, joining will quickly get you into the swing with a picnic, regatta and a great way to meet your fellow cottagers. More photo’s of this property are below. Here’s the detailed listing, please contact us to see it. 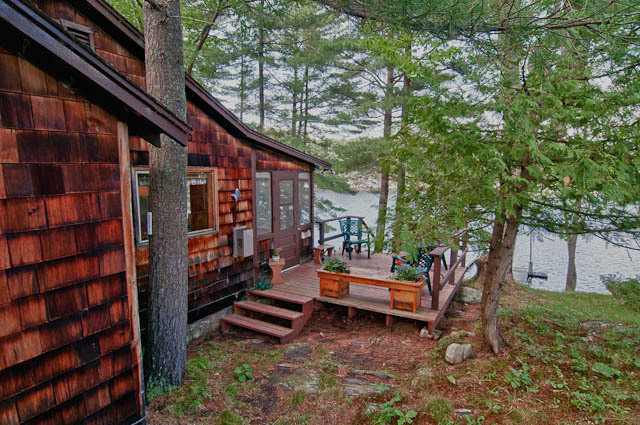 This just may be the best value in Muskoka. 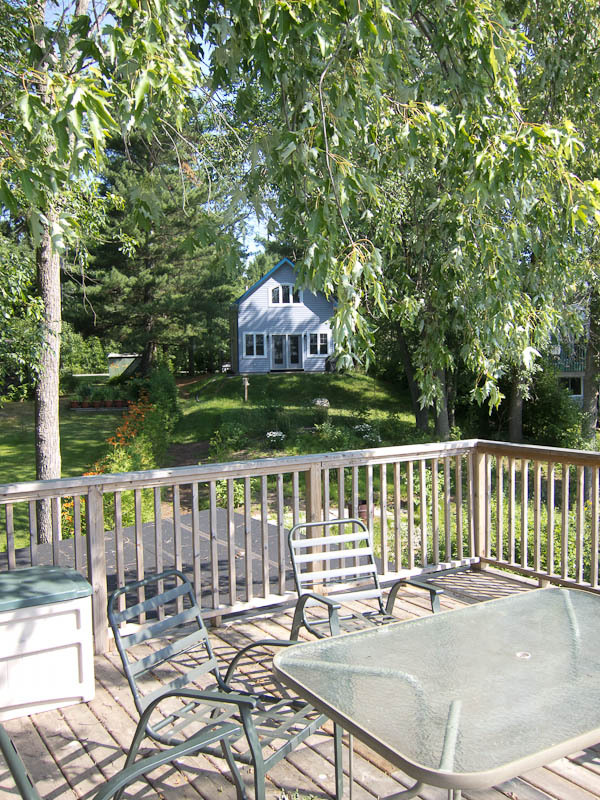 It’s the first time ever on the market for this spacious cottage on sought after Pine Lake. Cherished family memories have been built up over 43 years. Specific listing details are available here. Boathouse viewed from Cottage patio. 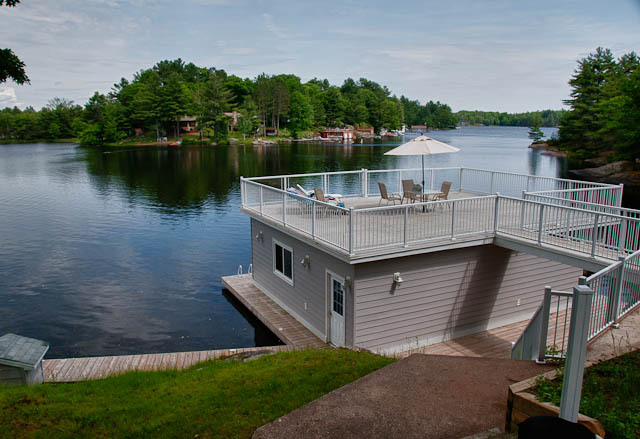 Enjoy all-day sun on the deck of a brand new 2 slip boathouse. 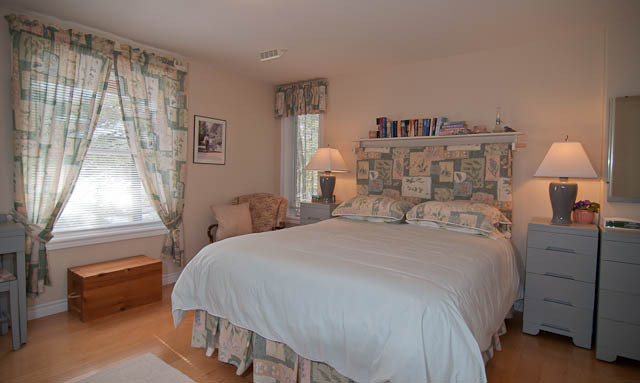 With four generous bedrooms and two full baths, there’s lots of space for family and friends. 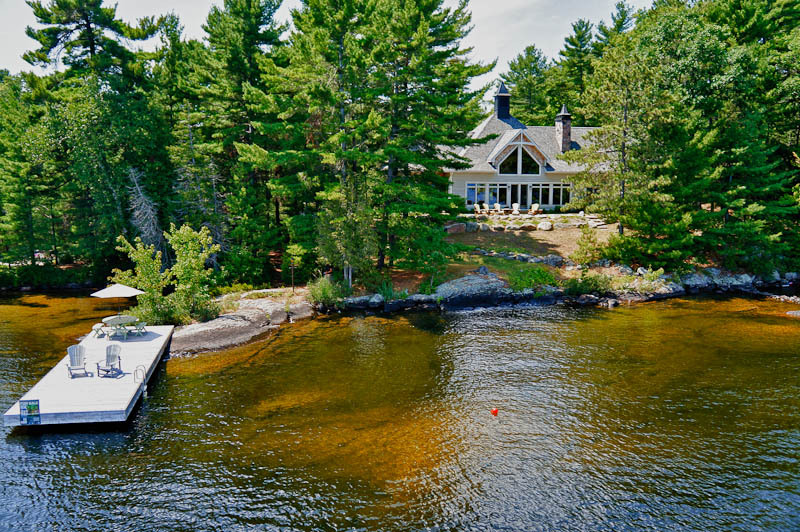 Cottage as viewed from the boathouse deck. Some great updating has been completed, particularly in the kitchen. Everything is all on one level and is super-clean. Use the cottage just as it is or renovate to your heart`s desire. 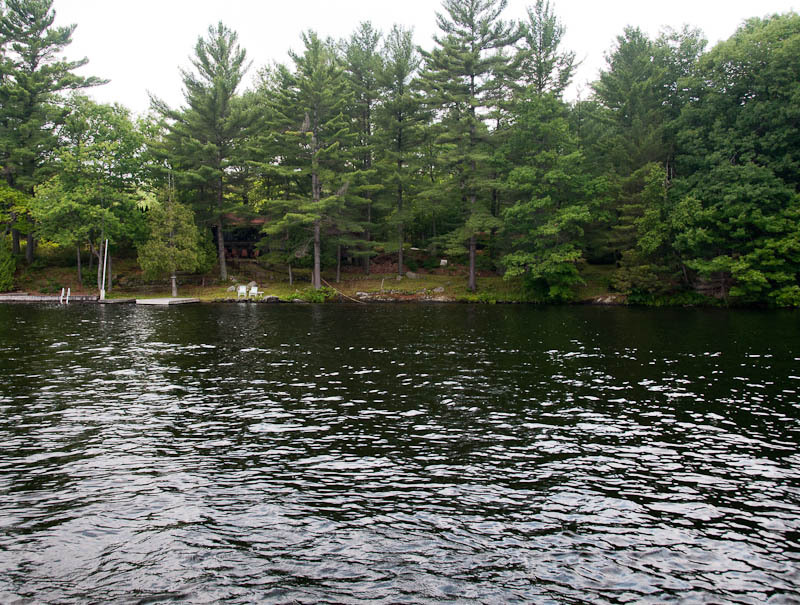 Pine Lake is just minutes from Gravenhurst for shopping, theatre, events and the famous Gravenhurst Wharf. Please contact us and come and see this property! 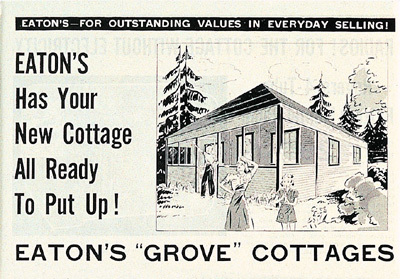 We can help you “order” an Eaton’s Catalogue Cottage today. 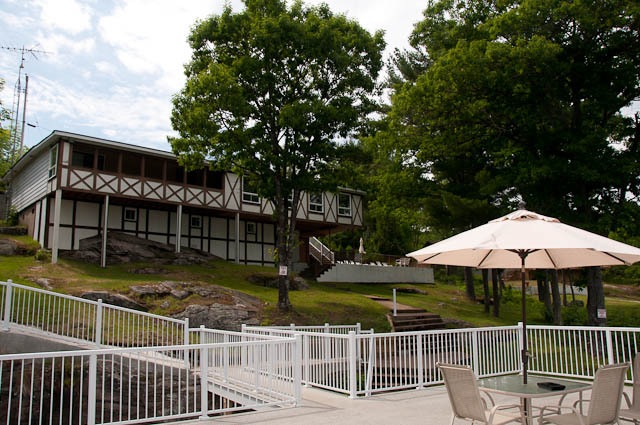 Lowest price for 200′ on Lake Muskoka. 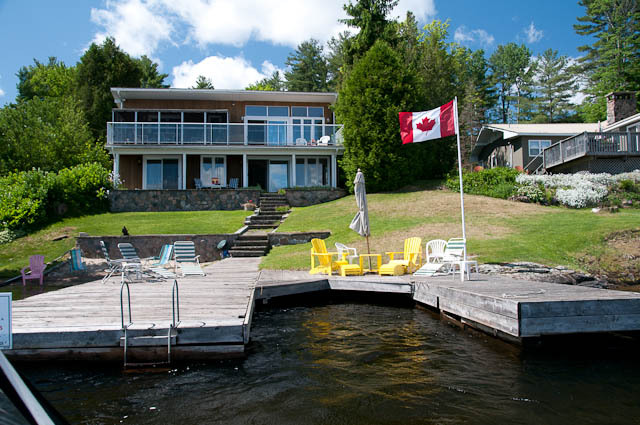 It may not be the price it would have been in 1939, but it beats anything else on Lake Muskoka. 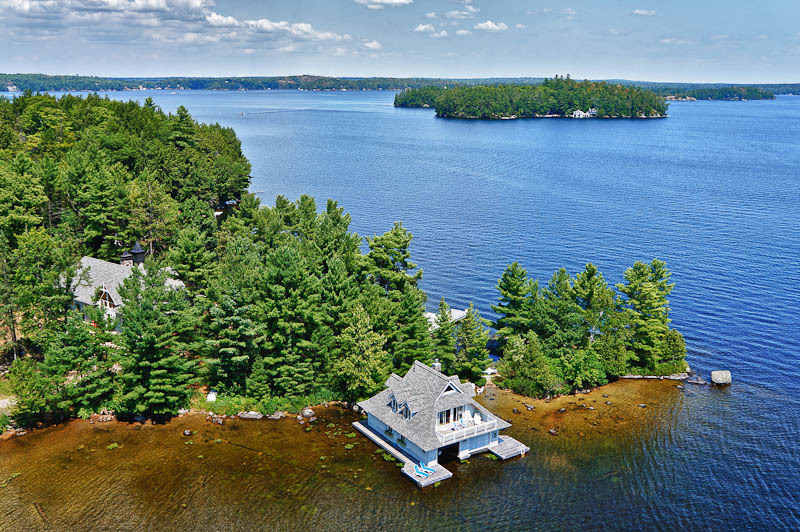 If you check MLS listings today, cottage property listings with 200 feet of frontage on Lake Muskoka are listed from $499,900 to $2.3 million. 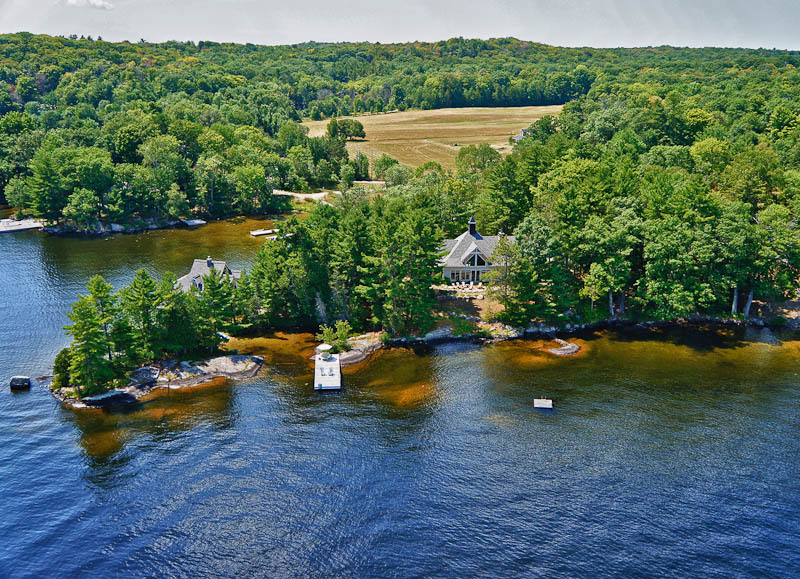 In general 200 feet helps give you improved privacy over a much more common 100 foot waterfront lot – or less. 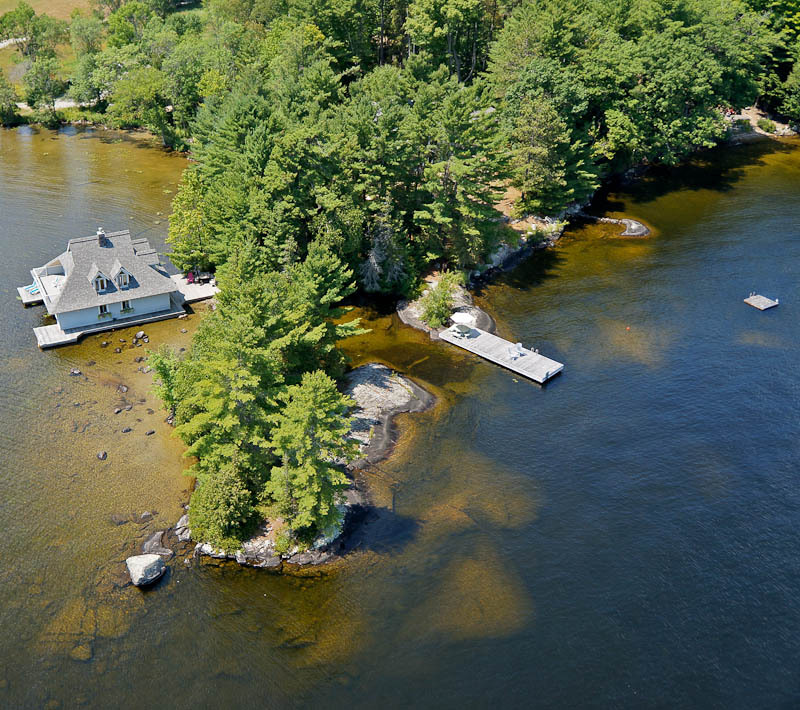 We have a great listing on Lake Muskoka which offers 200 feet of frontage, has sparkling water over rock which sweeps into the lake. 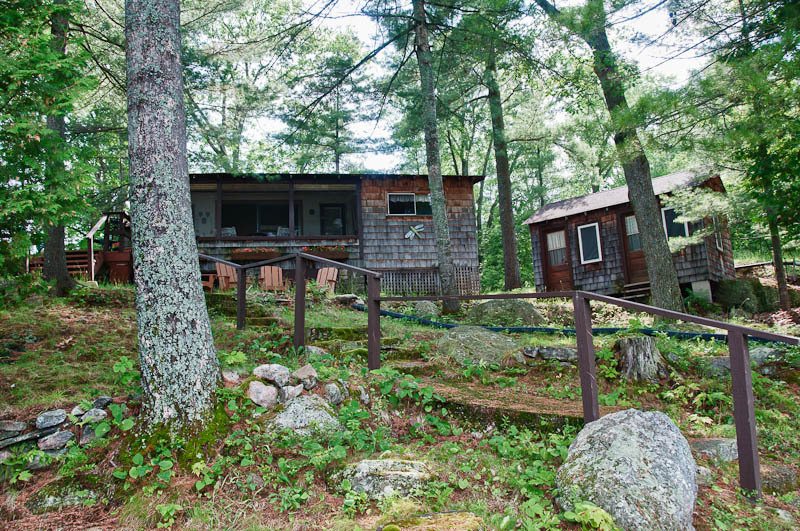 The lot is level with a great view, is close to Gravenhurst, 90 minutes from Toronto, has a cottage with two bunkies, AND that cottage is an original Eaton’s Catalogue cottage. It is also priced at the lowest price of ALL the 200′ waterfront properties. Eaton’s cottage, originally delivered by steamboat – still a crowd pleaser. 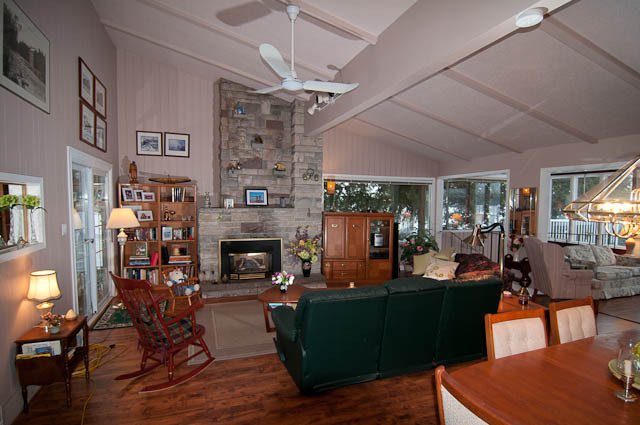 The detailed listing information shows not only the cottage – inside and out, but the beautiful level property and the views. Eaton’s catalogue cottage – kit delivered by steamboat. Awesome setback from the lake. Muldrew Lake is one of those lakes that people discover and seldom leave. 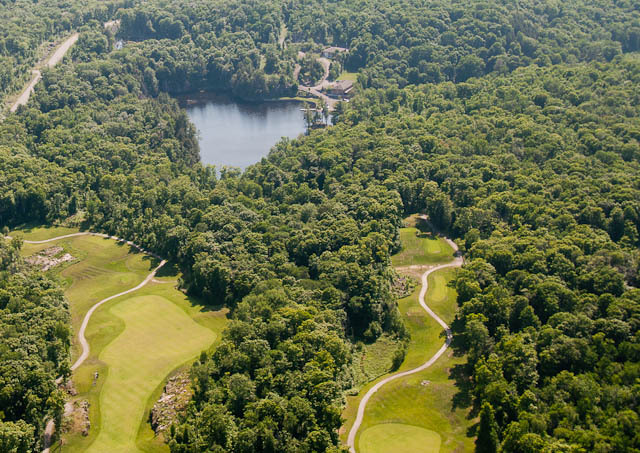 Fabulous water quality, timeless Muskoka scenery, minutes to Gravenhurst and the Wharf, world-class golf also just minutes away at the Muskoka Bay Club. 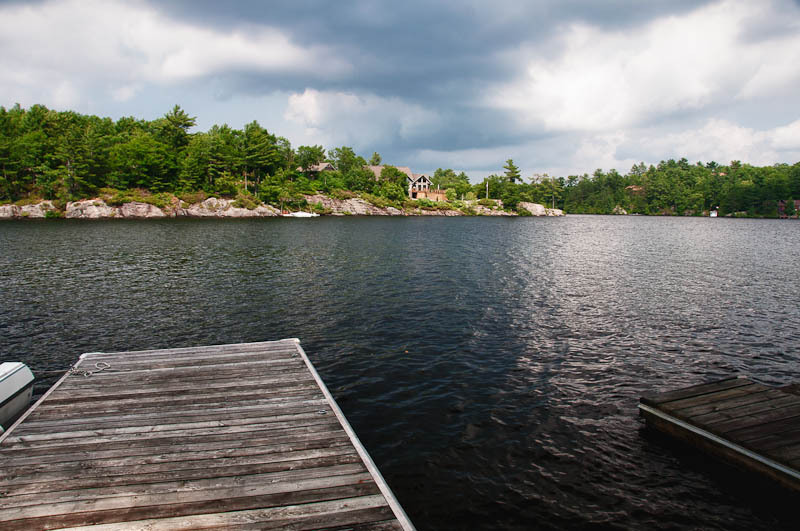 Muskoka granite eases into the waters of Muldrew Lake. 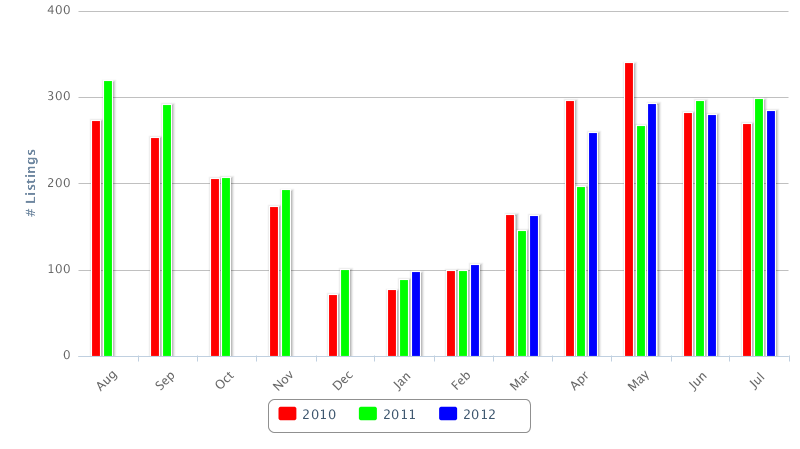 On Muldrew, the trend has been one of buying properties with an older cottage on them and rebuilding. The problem today is the cost of an original property, plus the cost to build new, very quickly exceeds $1 or $2 million. But, the original properties were almost always the best: good exposure, good access, good privacy, good views but with a level lot, good waterfront, etc. 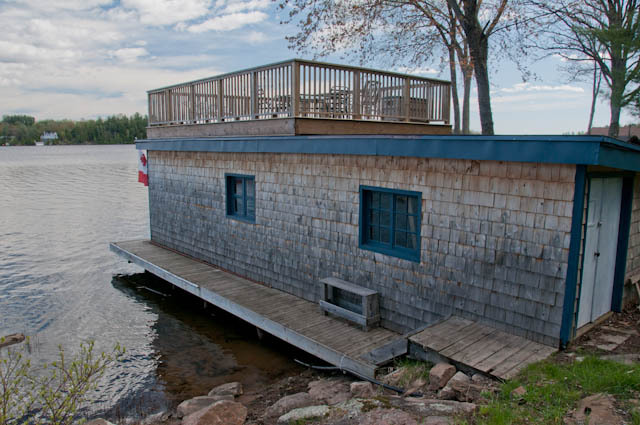 Also, when building a new cottage on the footprint of an older one, a minimal setback from the waterfront is a possibility that is not allowed on a newly developed lot. 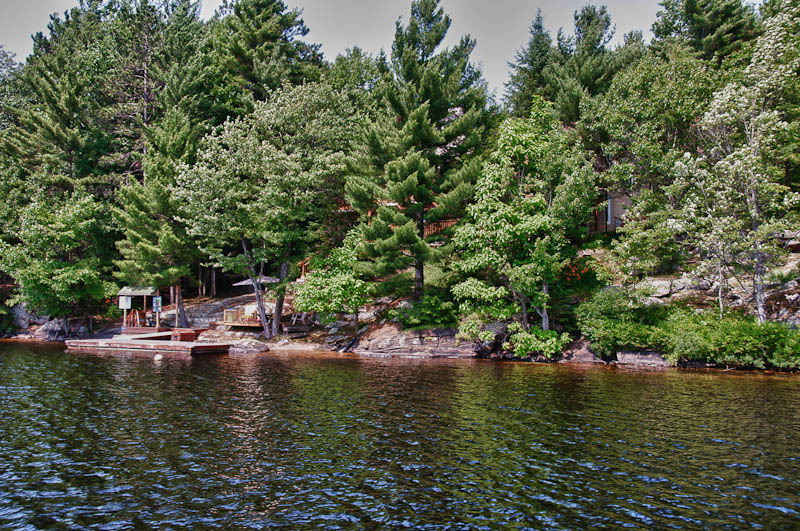 This listing is such a property.The owners cottaged here for 30 years, prior to re-building ten years ago. 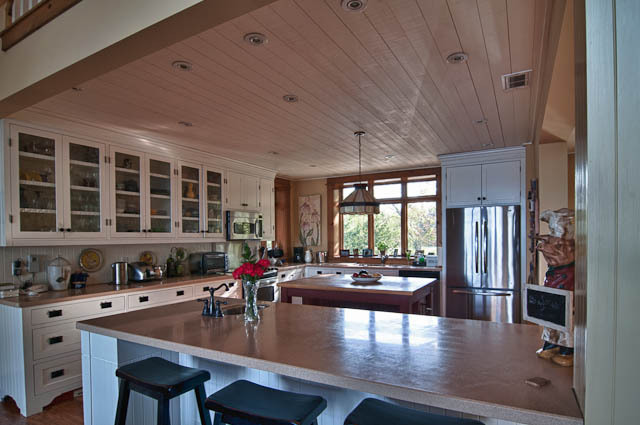 They sought to design and build an energy-efficient home (in this case certified R-2000) with complete and excellent mechanicals, as well as superb construction quality on this property. Link to listing. Link to contact us. 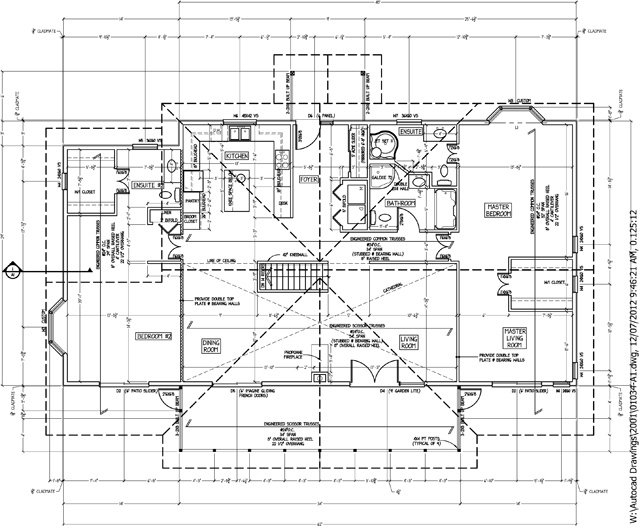 Four season certified R2000 home, approx. 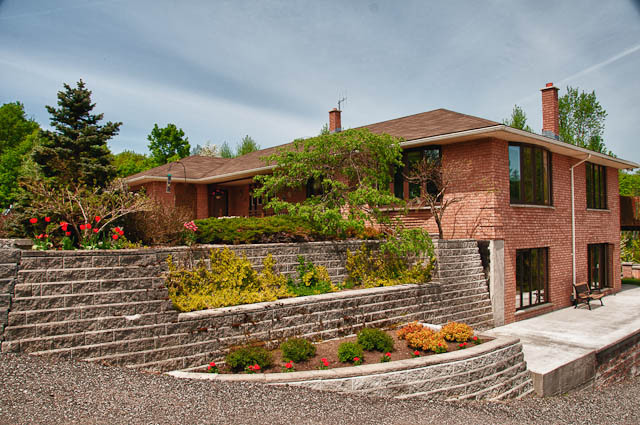 2500 square feet of living space, on 1.11 acres of groomed woodland, on a four season road. Custom built in 2002 by French’s Fine Homes. Facing southwest on 160 feet of pristine shallow sand beach and deep waterfront. 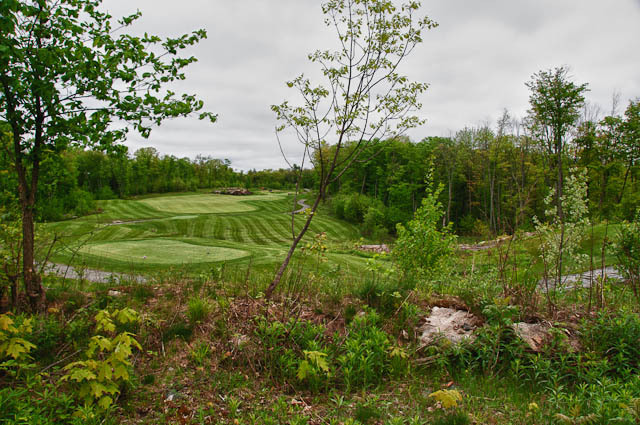 Located 10 kilometers from the Town of Gravenhurst, the world class Muskoka Bay Golf course, Muskoka Wharf, and emergency services. 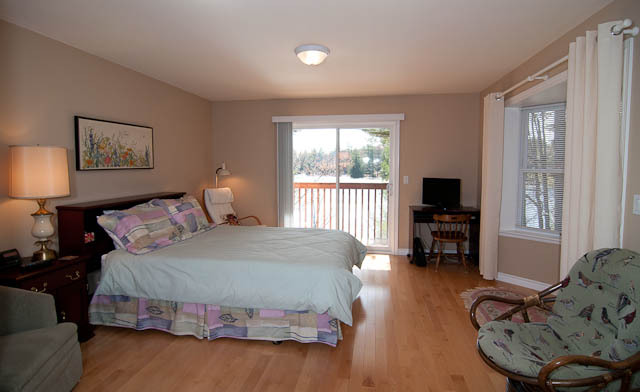 Open concept living / dining / kitchen area separates two main-floor bedrooms, each bedroom with its own ensuite. Laundry facilities located on accessible main floor. 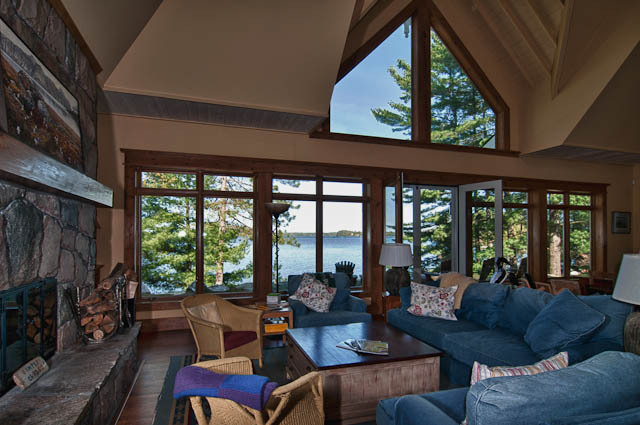 Large screened-in porch overlooking lake. 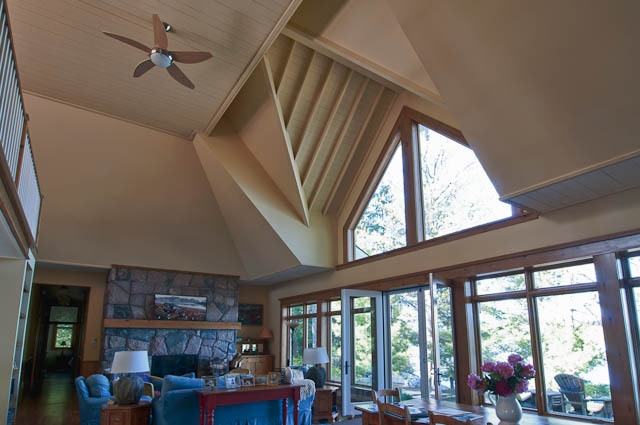 Expansive windows bring in the outside with natural light and expansive views. 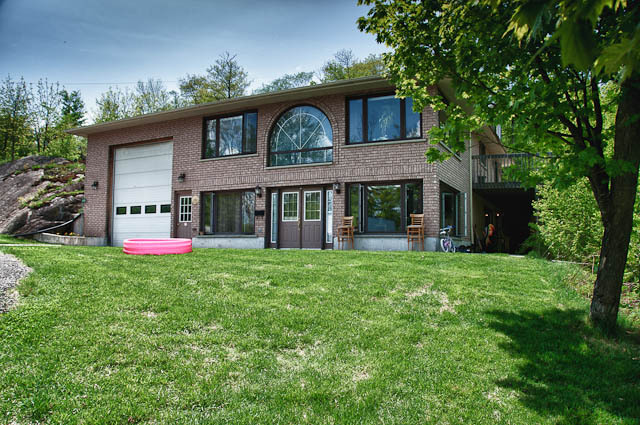 Natural daylight walkout basement with large guest bedroom. 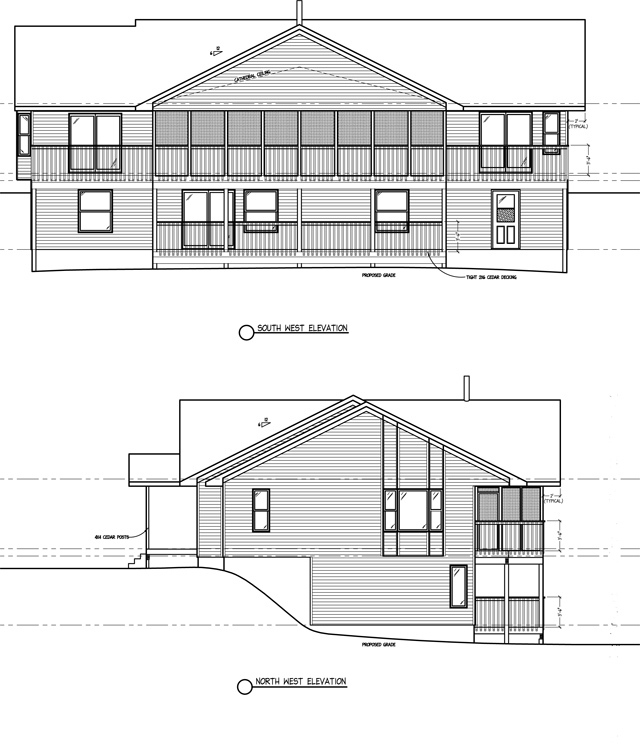 Detached two vehicle carport, with tool storage, and upstairs playroom/sleeping area. Neutral colours throughout. Faces southwest providing passive solar heating. Sand beach at shore, deep water beyond floating dock. Level entry road from year round access municipal road, serviced by school bus. Property purchased by owner in 1973; Viceroy cottage removed and replaced by year round home in 2002. 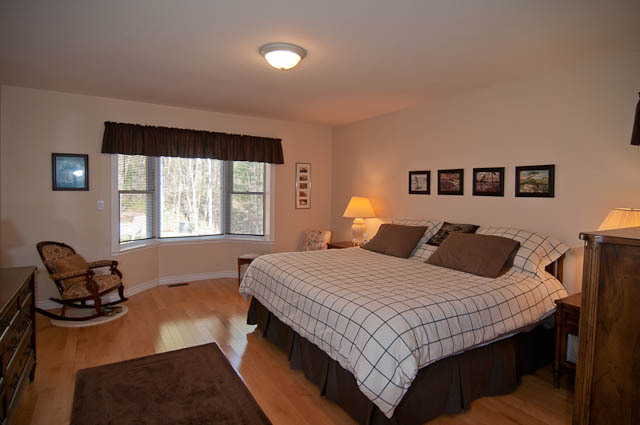 Flooring: Main floor is prefinished hardwood 3 ¼” Birch and ceramic tile; basement is manufactured hardwood Maple. Decking: Entry deck (6’ x 9’) is screened and two steps up from grade. 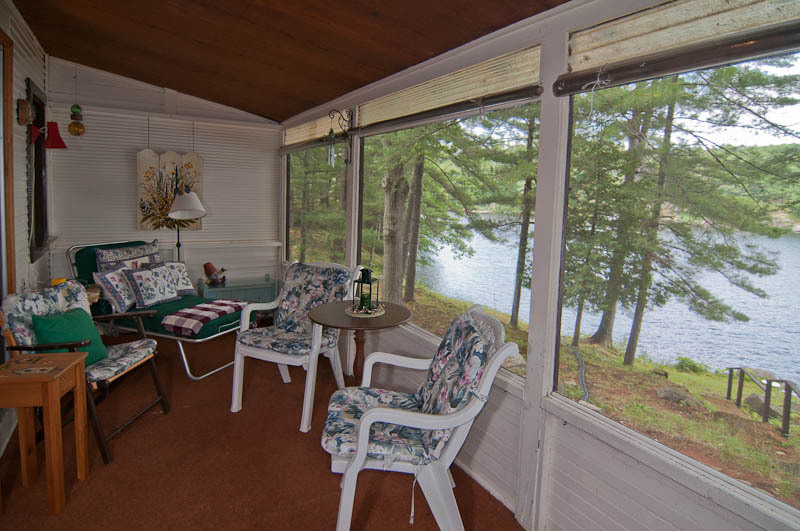 Screened in lakeside cedar sun deck (34’ x 8’) upstairs off of living/dining rooms. Covered 34’ x 8’ cedar deck downstairs (unscreened). Sliding doors to screened porch off dining room. 6‘ sliding patio door to covered balcony. Water filtration system for interior use (sediment, carbon, UV); additional ceramic filter tap in main bathroom. 200 amp service with (automatic) standby 8 K propane Generator – supplies fridges, freezer, microwave, water pump, UV light, various outlets – minimum of one outlet per bedroom, fireplace fans. 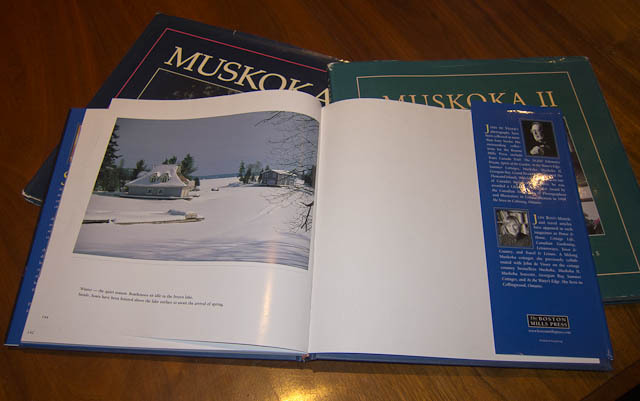 Muldrew Lake Cottagers Association is active in issues relating to the development and the environment, active in cottage winter inspections, provides annual regattas and other general interest events to membership. The MLCA also provides and maintains two boat landings for members to launch and remove boats from the lake. “All Out Marina” is located at the north eastern end of the lake. 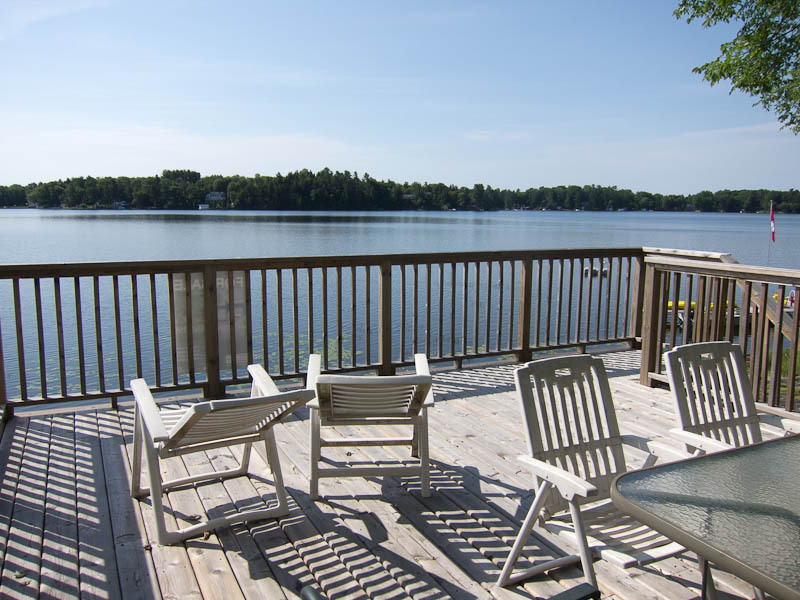 Located south west of Gravenhurst, Muldrew Lake well known for its rugged beauty, calm waters and its active community of residents who are devoted to the lake lifestyle. 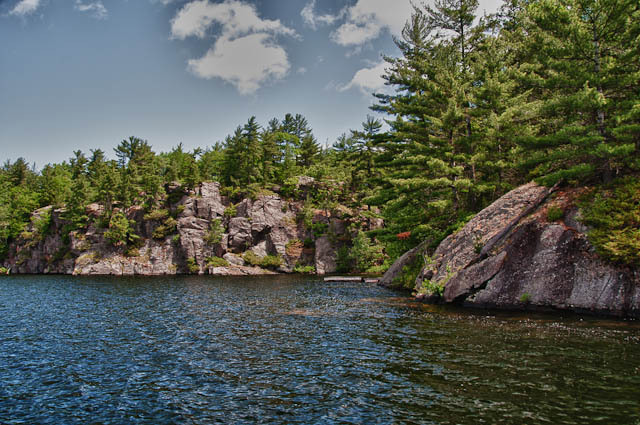 Muldrew’s waters lie on the bedrock of the Canadian Shield, its depths and shape scraped out by glaciers thousands of years ago. 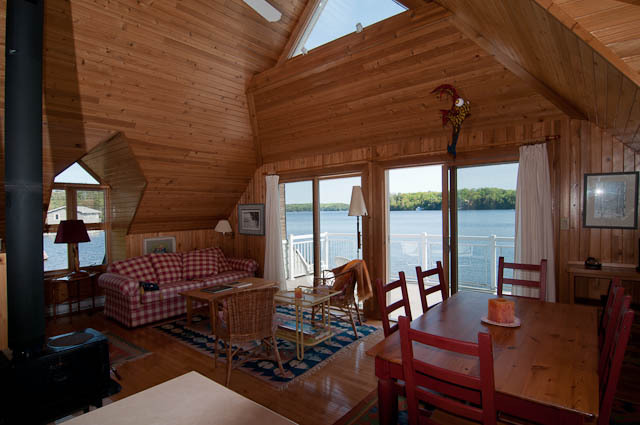 Five species of pine and deciduous species such as birch, oak and maple decorate the shore. 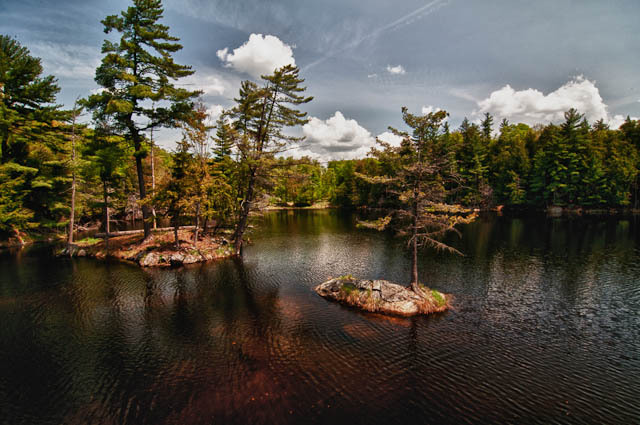 Muldrew is home to many species of wildlife, the most popular of which are the Common Loon, Great Blue Heron and of course the chipmunk. Much to the delight of residents, a large variety of songbirds, raptors and hummingbirds commonly visit, next and feed in the shore lands surrounding Muldrew Lake. 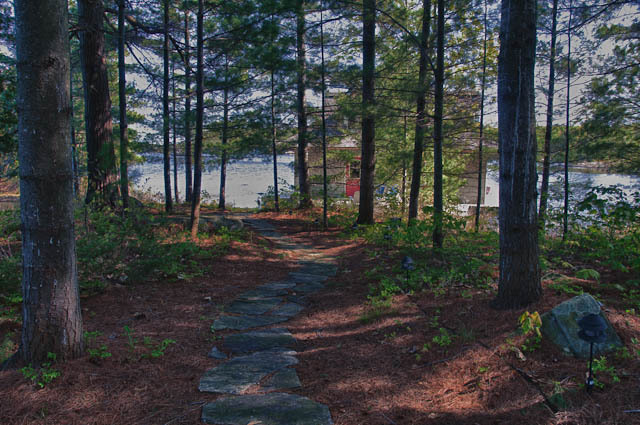 We have a great property listed for sale on Gull Lake; an easy walk to downtown Gravenhurst. 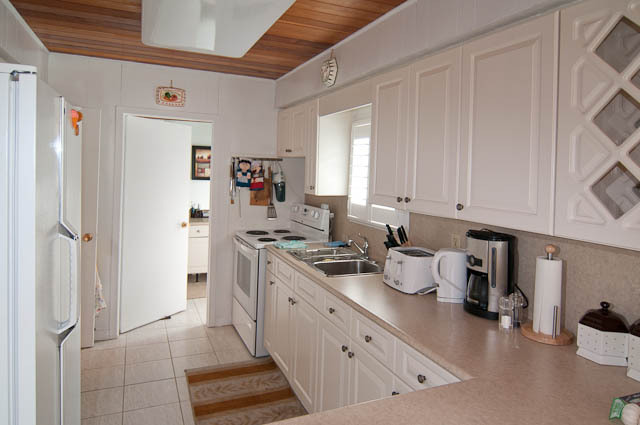 It’s a perfect 3 +1 bedroom year ’round family home/cottage, and it has a bunkie with two more bedrooms and a bathroom. 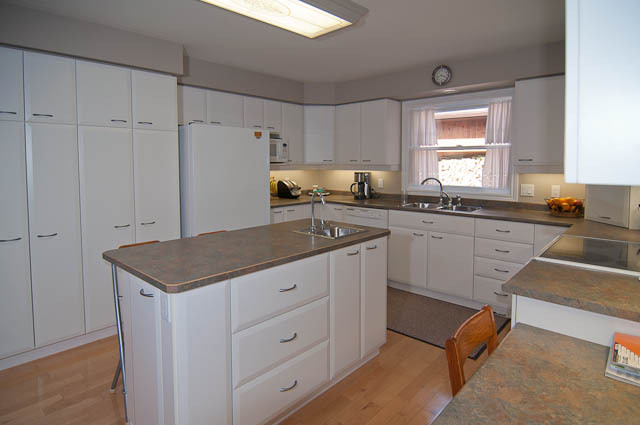 It has been meticulously maintained by its owners and is under $600,000. 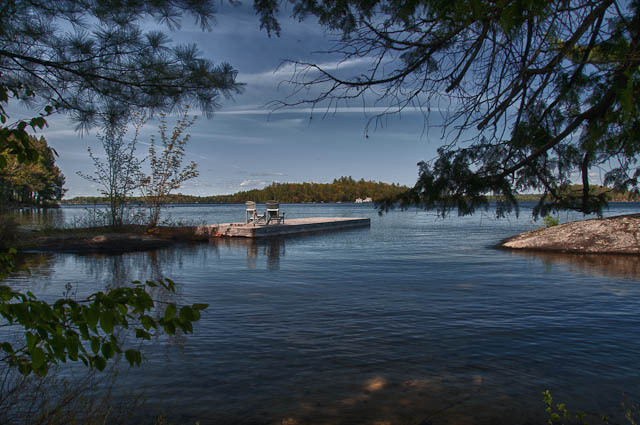 Beside the dock, one of the only sand beaches on Gull Lake. Almost all furnishings are included – even an antique snooker table with cues, snooker and eight balls. 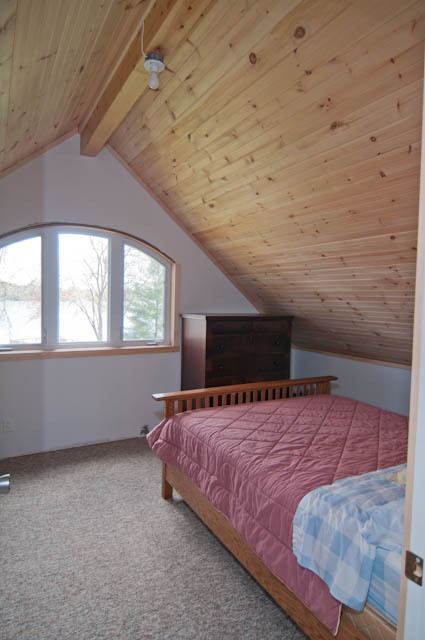 The cottage is heated with natural gas forced air, boasts a natural gas fireplace, sauna and has municipal water! 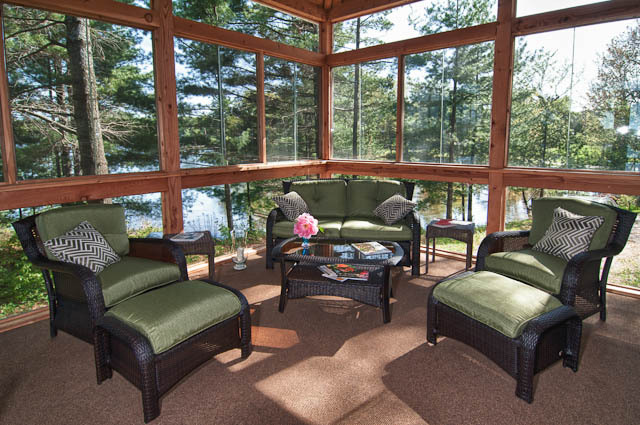 Large sundeck with screened Muskoka Room allows for magnificent views. 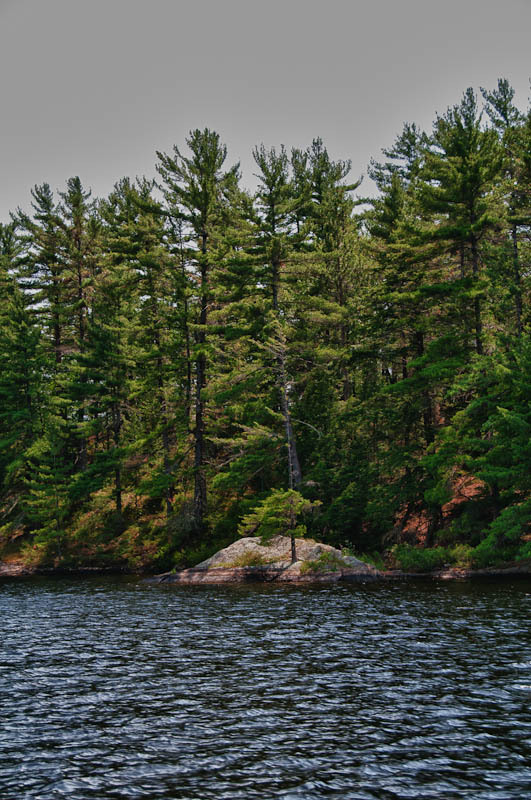 Gull Lake, which is connected to Silver Lake, has miles and miles of boating and beautiful Muskoka Rock, Pines and blue water. Additional details on this property are here. 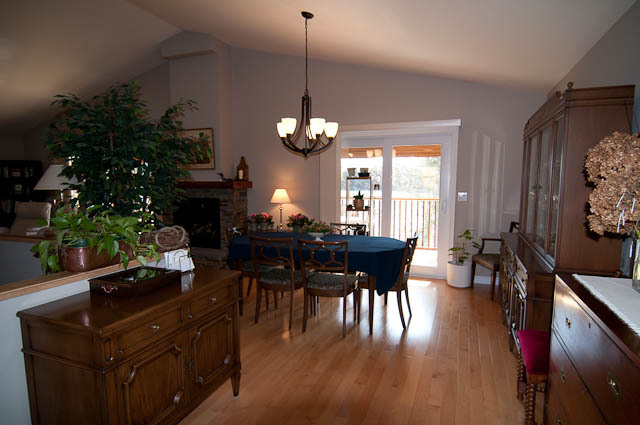 Well, this gorgeous property has just been reduced by $296,000, and is now $999,000. Have a look at the images of the property below; additional details are here. It’s close to 400 for ease of access, yet so far from the rest of the world. 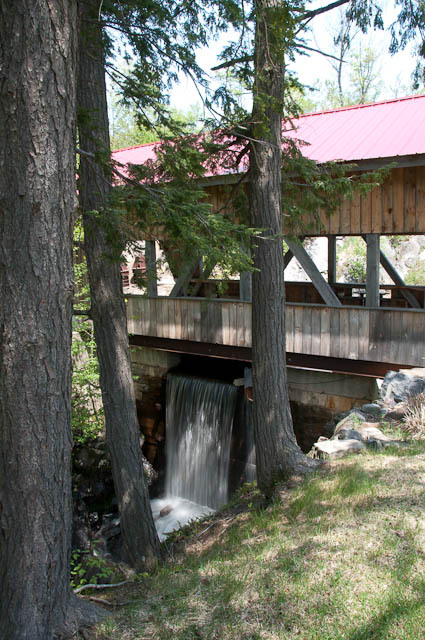 58 acres of beautiful rolling hills and forest to explore. 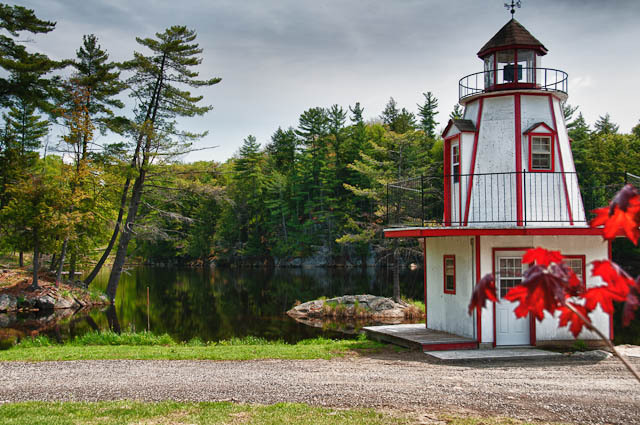 The property encompasses an entire lake, has a waterfall, complete with covered bridge and lighthouse, all contained within the boundaries. The main house, beside the lake is currently a two family dwelling with 2750 sq. ft. on each floor, totalling 5,000 sq ft. (completely finished). 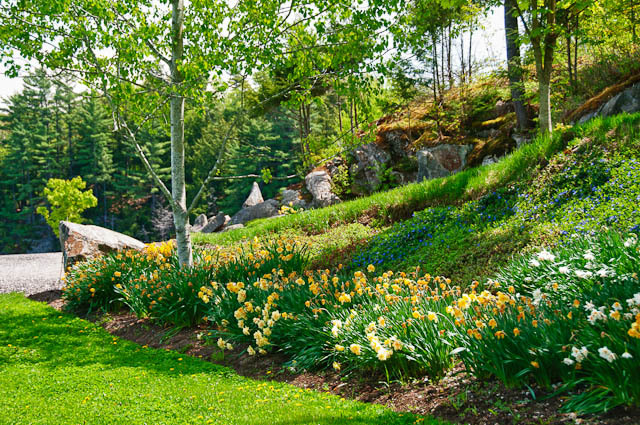 The property near the house is beautifully landscaped with many perennials. There is a separate house, two family dwelling with 1500 sq ft. on each floor,total of 3,000 sq ft. (completely finished). 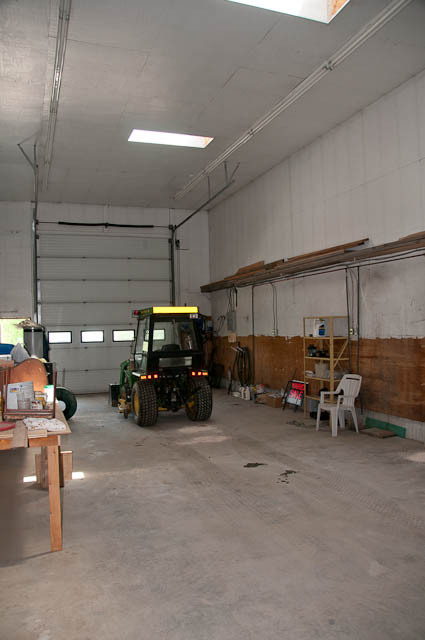 There is also a heated garage, 20′ x 48′, with a 17 foot ceiling. The southern edge of the property borders the Seguin Vally Golf Course. A reminder about this cottage mentioned here with more info here. 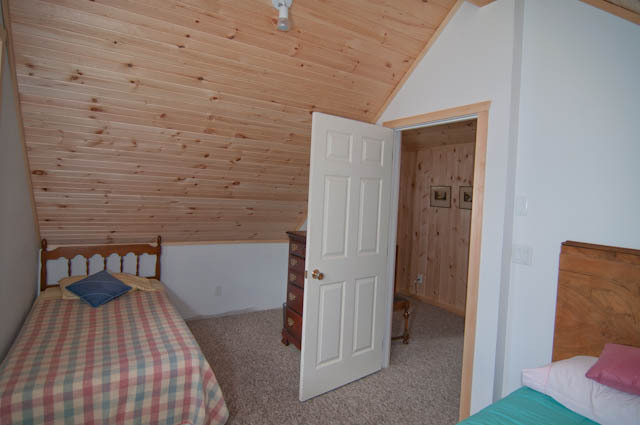 This is a wonderful cottage property for an active family. 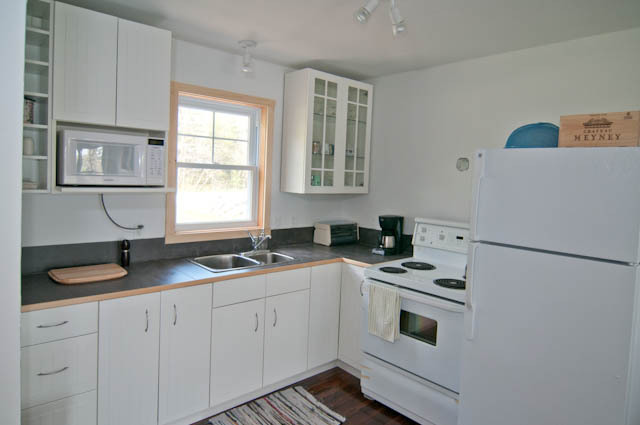 It’s a fully renovated, four season, open concept cottage with 2 bedrooms in main cottage and two bunkies, all with beautiful views. Hardwood floors, tumbled marble in bathroom, expansive decks – wonderful outdoor living lakeside. 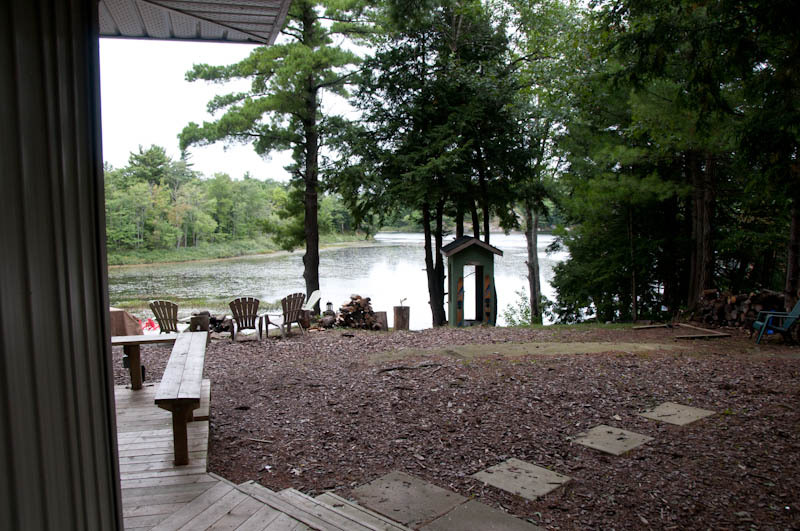 There’s a great area for evening bonfires and a hot tub overlooks the lake. The owners have put substantial renovations in and simply won’t be getting their money back. Also, here’s the link to the Lake Data Sheet for Morrison Lake, and the Interpretation of Water Quality Data sheet. "We met Catharine in 2010 and loved her energy and style. 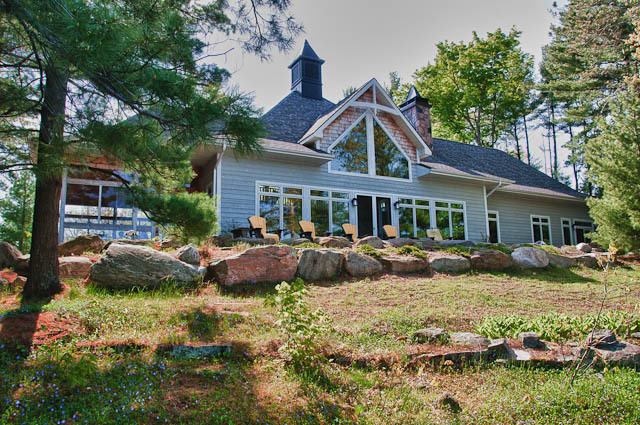 We purchased our new cottage and then sold our old cottage in May and June 2011. 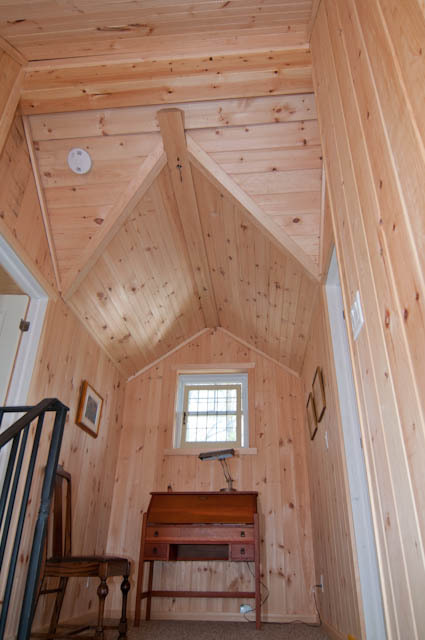 We were able to get an attractive buy and sale deal to upgrade to our 2000 square foot cottage on Walker’s Point. Catherine’s kept both sales on a very positive note! Her valuation of our first cottage was right in line and sold in about 2 weeks! My husband, daughters Stephanie and Jeanine and I are so excited to spend the rest of summer 2011 in our new place. Thanks Catharine and Steve!"